As you should probably recall, November 2nd saw the opening arguments in what is probably the most important court case in videogame history, Schwarzenegger v. EMA. 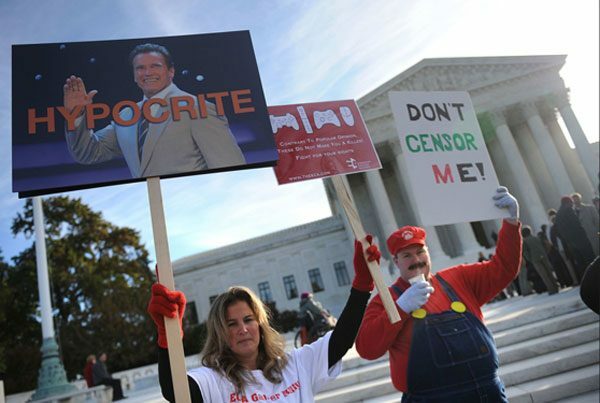 During that time, the Entertainment Consumers Association (ECA) held a rally on the steps of the courthouse to show their support of the EMA and the First Amendment. Of course the ECA had cameras, and cut together a great little video which you can find after the jump. Some pretty profound words are spoken by pretty ordinary people, it really helps give you hope that even non-gamers will realize that this sort of censorship is an unbelievably stupid thing to do. Hit the jump for the video, and check out this page on the ECA for more on the case.